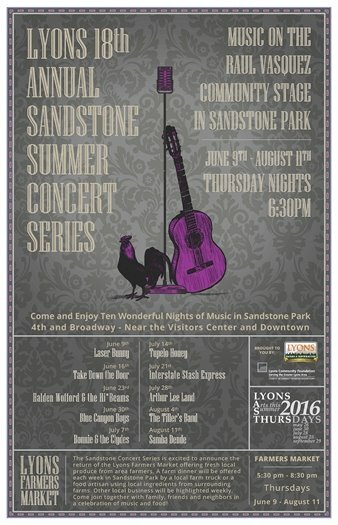 This Thursday is the last time Lyons Last Thursdays Art Stroll and the Sandstone Summer Concert will be held concurrently! Bring the family downtown to redeem a $5 voucher to spend at any participating restaurant or shop, then head over to Sandstone Park for some funky live music! To receive a $5 voucher, look for the costumed characters around town, and fill out a quick survey - that's it! Don't miss out! 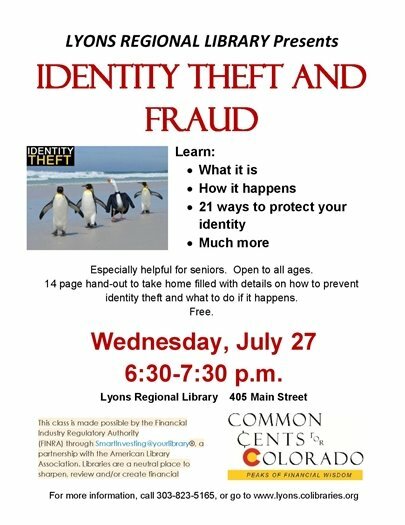 Join the Boulder County Sheriff’s Office on August 2 for an evening of community building. National Night Out is designed to help increase awareness of crime prevention, strengthen neighborhood spirit and partner with local law enforcement and first responders. Every National Night Out location will have different activities taking place, but all will have free food, emergency vehicles, first responders, fire departments, safety demonstrations, local vendors and children's activities. 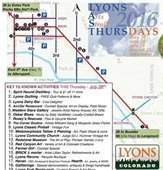 These are free family-friendly events that are fun for all ages. National Night Out is an annual community-building campaign that promotes police-community partnerships and neighborhood camaraderie to make our neighborhoods safer, better places to live. National Night Out enhances the relationship between neighbors, law enforcement and first responders and provides a great opportunity to bring law enforcement and neighbors together under positive circumstances. July 26, 6 to 8 p.m.
Boulder County, Colo. - Boulder County area watershed coalitions and Boulder County staff will hold a question and answer session for coalition members and the public to help everyone better understand recent proposed amendments to the floodplain regulations. Enhanced service now operating between Longmont and Denver, serving the communities in between, including Lafayette, Broomfield, and Westminster.